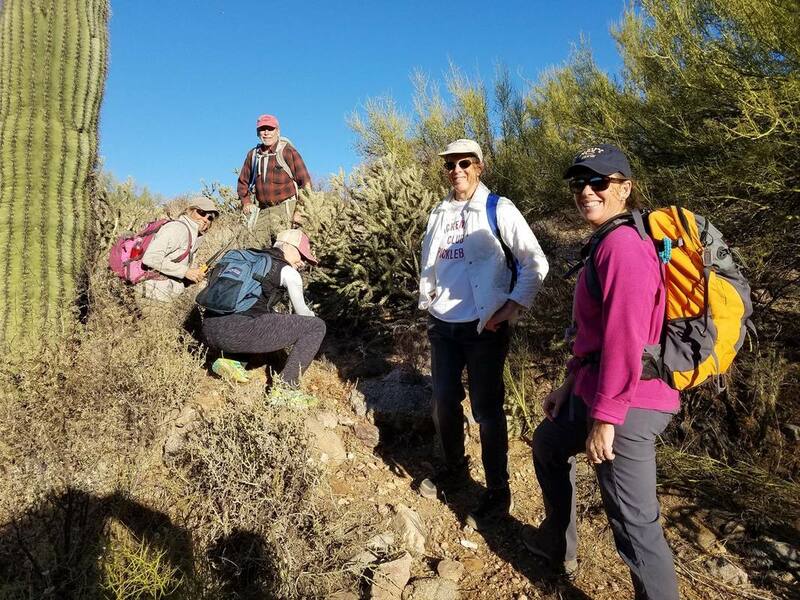 Join us outside on Wickenburg's beautiful trail system! 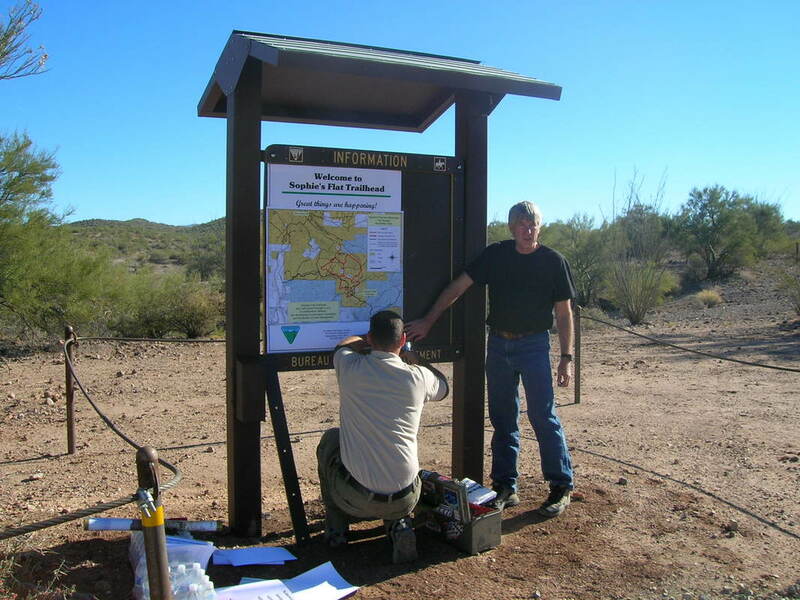 ​The trailhead is approximately 5 miles NE of Wickenburg. 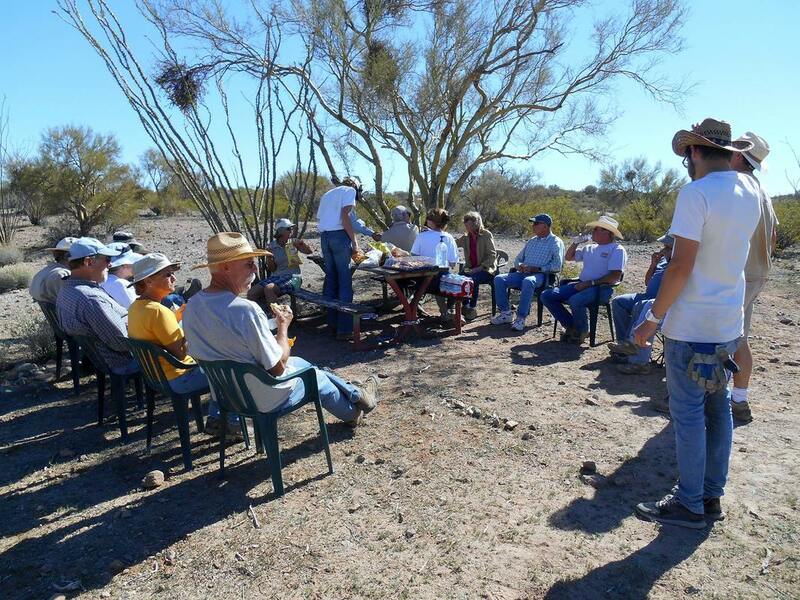 The trail is named for Sophie Burden, co-owner and dubbed "Queen" of the historic Remuda Guest Ranch. 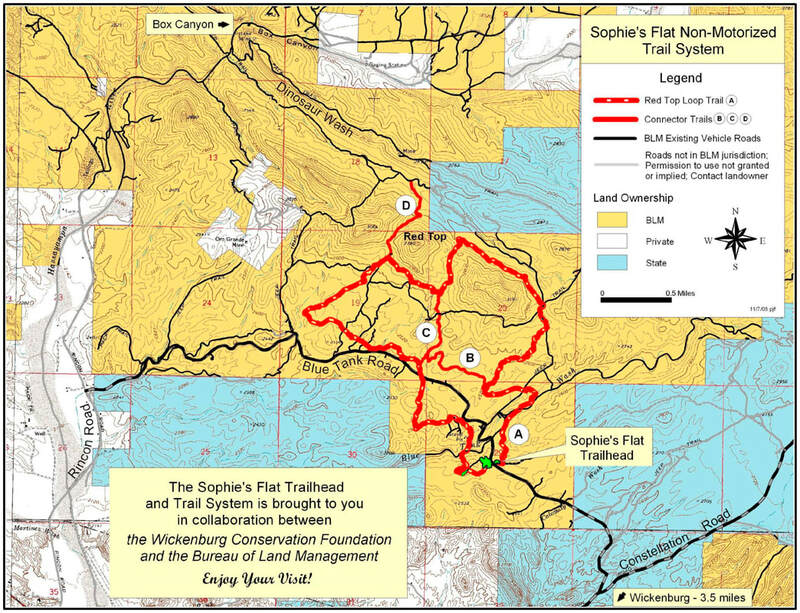 Trail development is done in partnership with Bureau of Land Management. The trail system consists of a loop trail with two internal connector trails. Trails are marked with letttered posts. Another trail leads from the loop to Dinosaur Wash which ends at the Hassayampa River and leads to nearby Box Canyon, a lush riparian area and slot canyon. Keep in mind that the Canyon is a mulit-use site and motorized use is allowed. ​The trailhead includes a day use parking on the north side of the road for 18 vehicles, restroom , hitching posts and information kiosk. The south side of the road provides large staging and parking areas that can accomodate about 40 horse trailers or RVs. Camping is permitted in the staging area. Water, water holding facilities and trash containers are not provided. High season is October through April with very little use in the remaining months. Water is not provided, bring plenty for yourself and your animals. Please keep the site clean of litter. Pack it in, pack it out. Washes are prone to flash floods during heavy rain storms. Do not cross when flooded. You may encounter rattlesnakes or other poisonous creatures. Be careful where you put your hands and feet. Never harrass reptiles - they bite. Stay safe - stay on the trails. This is a multi-use are but horses have the right of way. Be courteous. Use fire where specifically permitted. Help check the spread of noxious weeds and annoying insects. Weed-free feed is recommended. Clean up after your animals. Know your land ownership. Private landowner permission or a state land permit may be required. Learn and practice "Leave No Trace" and "Tread Lightly" land ethics. Want to join an event?